Colombians are concerned that FARC members will be able to participate in political life, even if they are under investigation for serious crimes (Twitter). FARC guerrillas will be able to participate in politics and serve in Congress even while they are sanctioned under the Special Jurisdiction for Peace (JEP). 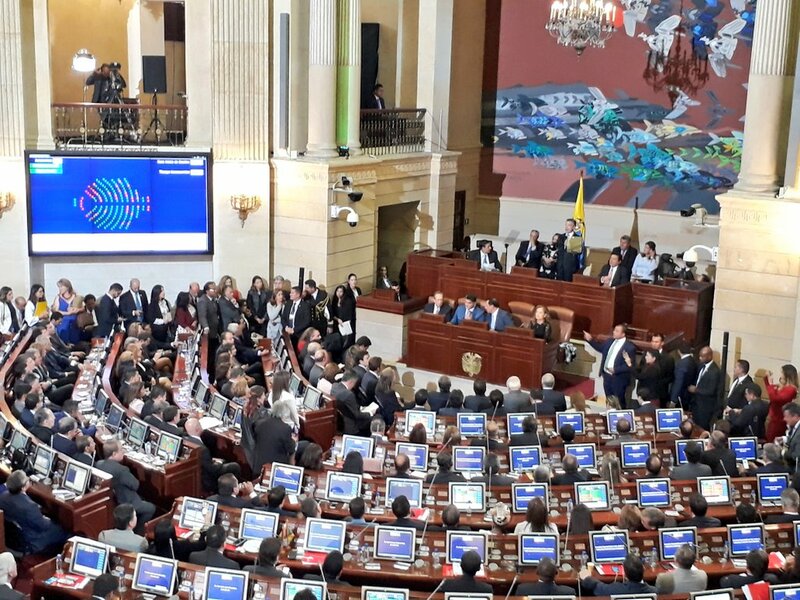 The Colombian government has established regulations for the Special Jurisdiction for Peace legal framework for the operation of the new court that will be in charge of supervising legal processes against the actors of the armed conflict. The document states that FARC guerrillas may participate openly in politics and at the same time be in the legislature, even while they are being tried in the special court; that is, they do not lose their political rights under the court’s jurisdiction. Under certain conditions of compliance, both FARC and state security forces are subject to these terms. For his part, Justice Minister Enrique Gil Botero said that the Special Jurisdiction for Peace will not put at risk the convictions won against the Colombian State during the armed conflict. “The legal issues involving the state are different. The State is not a passive subject of transitional justice, so it is dealt with differently than individuals,” he said. In the case of third parties who have committed crimes, they may voluntarily submit to the Special Jurisdiction for Peace, or otherwise they will be subject to ordinary legal jurisdiction. Finally, the government detailed that members of the FARC who committed crimes of drug trafficking will not be extradited if it is proven that such activity was to finance the armed struggle and not for personal enrichment. The issue is proving particularly pivotal in Colombia’s 2018 presidential election, which is likely to feature the winner of Alvaro Uribe’s Centro Democratico party, which opposes the Santos-FARC deal, against German Vargas Lleras, who is likely to have the implicit backing of current president Juan Manuel Santos.